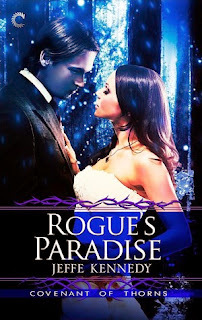 With no hope of escaping this world, I must learn to harness my magic and build a new life despite the perils—including my own inexplicable and debilitating desire for Rogue. Pre-order Rogue's Pawn Here. 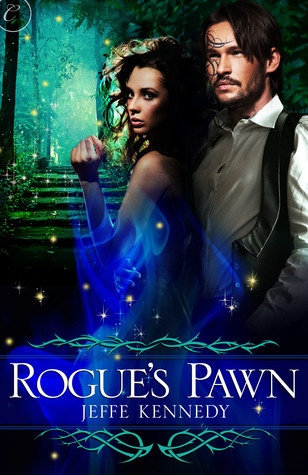 Rogue's Pawn brings you on a thrilling adventure with Jennifer as she wakes up in a world that is not her own. I wasn't sure what to expect when I started reading, but it immediately reeled me in with Jennifer's witty internal monologues. When Rogue enters the scene, I was a lost cause. This book had me hook, line, and sinker. This is odd for me, because I'm not usually attracted to fairy type books. Maybe I've been missing out on something all this time. There were some moments of naughtiness within the story. Rogue's Pawn was addictive and tantalizing, and I probably liked it a lot more than I should have. I didn't realize it was the first book in what will be the Covenant of Thorns series until I finished reading the book. I'm excited to know that the story doesn't end here, and I can't wait for more! This series just may be my new guilty pleasure. Pre-order Rogue's Pawn Here. To learn more about Jeffe Kennedy and her books, visit her website.You can also find her on Facebook and Twitter. Check out my interview with Jeffe Kennedy too! 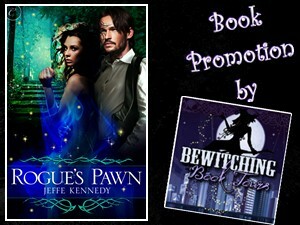 I received the ARC of Rogue's Pawn by Jeffe Kennedy from the Bewitching Book Tours for review. The opinions are my own. Check out my reviews of the other two books in this trilogy! I LOVE the sound of this one! Thanks for the fab review, Gabby - I'm headed right now to add it to my TBR. :) I love a good naughty read. HEE.